I may have mentioned before that I am a Louisiana girl. With all this winter and cold, I had to pull out my huge soup pot to make a pot of gumbo. The way I like to eat gumbo is with potato salad and rice. I needed to transform this very high carby meal into a lower carb one. First I made rice using cauliflower. 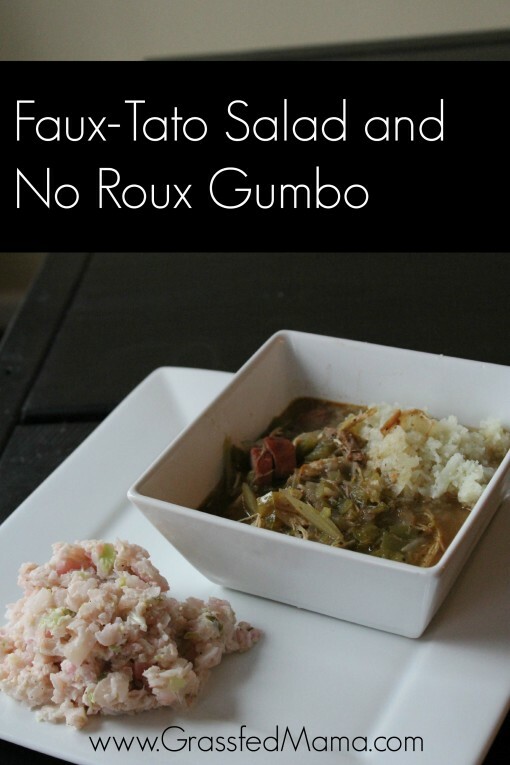 Next I made my gumbo with no roux making it low carb as well. I had done some research and found that radishes were pretty low carb and similar in texture to potatoes. I figured I would try to turn my potato salad into a Radish “Faux-tato” Salad. Adam and I both really loved it. Adam was very skeptical at first. I had mad potato salad using red potatoes before, and it looked very similar in color. Adam said that is exceeded his expectations. Now in South Louisiana, the way to eat gumbo is to mix your rice, potato salad, and gumbo together in your bowl. The way I like it is to fix my bowl with the cauliflower rice and gumbo together and eat the potato salad along side. I’ll get a little of the radish low carb salad on my spoon then get a little gumbo to go with it. Yum. Takes me back home. I hope you enjoy our recipe! 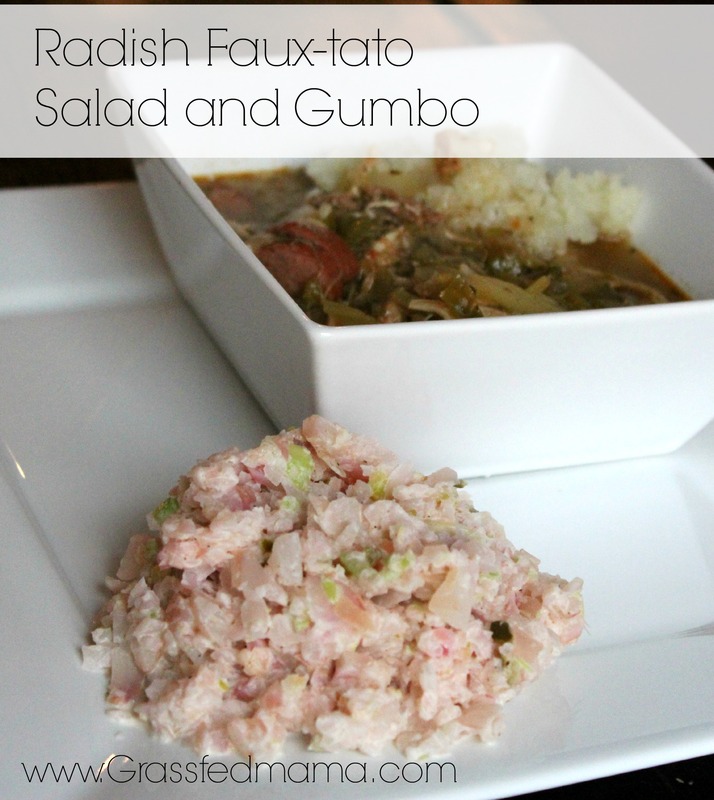 A low carb "potato" salad alternative to your gumbo or summer picnics. Boil your radishes for about 30 minutes or until tender. While they are boiling, combine everything else in a large bowl, mixing well. Once your radishes are tender, process them in the food processor by pulsing. You want to end up with finely chopped radish pieces. Once chopped, mix the radishes in the with mayo and seasonings.